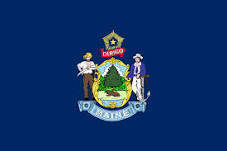 Maine Settles False Claims Act Case Against ESM. Employment Specialists of Maine, known locally as ESM, is a private community rehabilitation provider in Maine. It provides services for many Maine residents struggling with intellectual disabilities. The company relies heavily on funding from the federal Medicaid program as well as state tax dollars. Earlier this year ESM settled charges that it falsely billed Medicaid and the State of Maine for services not eligible for reimbursement. The company settled for $125,000. The case against ESM was brought under the federal False Claims Act, often called the whistleblower law. Any person possessing original source knowledge regarding fraud against a federally funded program can file suit under the false claims act. 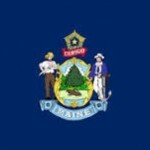 A similar Maine statute, the Maine false claims act, allows individuals to also file claims if they knowledge of loss or fraud to the MaineCare program. The government claimed ESM was utilizing the services of an excluded provider. The complaint says the company billed for services provided by a registered nurse who was barred from participating in any federal health care program. Because the list of barred individuals is public record, prosecutors say that ESM should have known better. Unlike many Medicaid and Medicare fraud cases, there are no allegations that any patients suffered. Press reports indicate that once the complaint became public, ESM cooperated fully and the nurse in question was terminated. Whistleblowers who bring cases under the state or federal false claims act are eligible for a percentage of whatever the government collects. The average award is 20% meaning a whistleblower in the ESM case would probably receive $25,000. As false claims settlements go, this case is relatively small but it also only involved one individual. If you have original source information about fraud or loss to a government funded program, give us a call. Our Maine whistleblower lawyers have represented whistleblowers across the United States. Currently we represent the whistleblower in the largest pending false claims act case against a bank or lender anywhere in the U.S.; HUD’s $2.4 billion complaint against Allied Home Mortgage. About the author. Brian Mahany is a former Assistant Attorney General of Maine. He and his team of Maine whistleblowers lawyer help concerned whistleblowers stop fraud and collect the maximum awards possible.